Either you are a professional motorcycle service repair shop person or a tasteful DIY guy at home, the Atlas® EML-1200 is an electric/hydraulic 1200 lb. 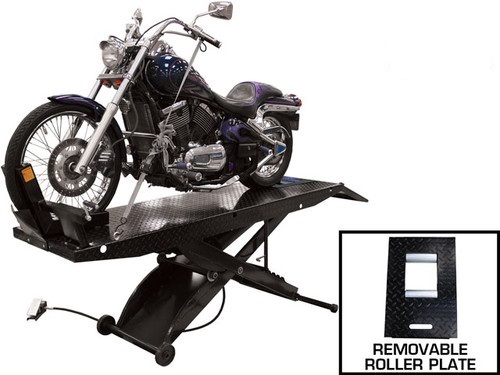 capacity motorcycle lift is the tool that is perfect for you. The Atlas® HT-ACL Cycle Lift can be equipped with the Atlas® Chopper Extension which adds 13″ to your lift table platform, making the total length 98”.